CUSTOMER CORNER- Each month, we share videos and testimonials from Expats around the world who bought or leased a car from International AutoSource (IAS). As a leading provider of Expat car leasing, financing, and car rentals, it’s our priority to make sure every customer leaves happy! 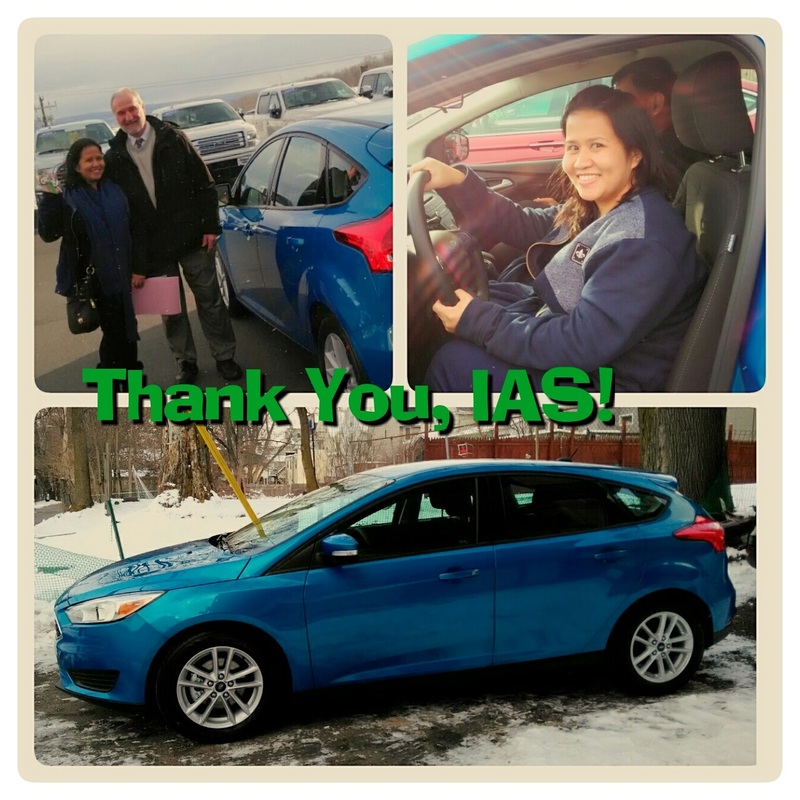 “Thank you, IAS!”- Virma V.
Some Quotes From IAS Customers! “Transport is very important when moving to a place where public transport is not that many. One day, I received a call from Matthew Lepkowsky who works with International Auto Source who assisted me, explained everything I needed to know in owning a car through auto loan, that’s without any “credit score”. Matthew fulfilled his promise that as soon as I get to the US I will be having a rental car until I get mine. I was thankful enough because the first car I chose arrived here in Alexandria in January, but didn’t like it. He made an effort to offer me another car without any fuss and extended my rental car. Last Friday, March 3, 2017 I finally got my car, from the dealer . I was so happy. Thanks to all of you from IAS, esp. Matthew for an excellent job towards your customers. Awesome job. By the way, my car’s name is Jamil (means handsome. )”- Angelita C.
“I would also like to take this opportunity to thank you for your patience and constant communication with me so I can acquire my first car here in the United States. Your assistance is greatly appreciated.”- Annabel T.
IAS offers expatriates car financing, purchasing and leasing without a local credit history on all manufacturer models, both new and used and worldwide car rentals to solve all your transportation needs. Every customer is personally guided with our award-winning concierge service and provided exclusive guarantees. IAS provides cost savings ranging from hundreds to thousands of dollars on a vehicle finance, purchase, lease or rental while saving our customers valuable time and resources.